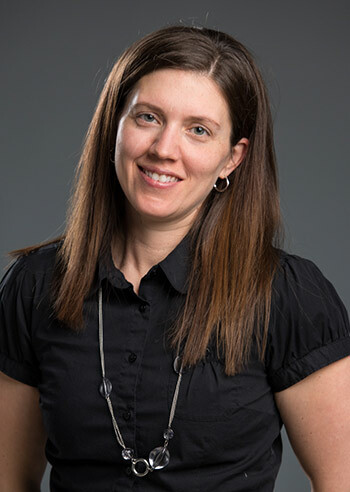 The My Active Health program, under the guidance of Dr. Danielle Bouchard, coordinator and associate professor of Kinesiology at the University of New Brunswick, has been successful since its inception. The My Active Health program, which began in September 2018 and will run until December 2019, recruited 65 women living with breast cancer from the four Atlantic provinces. This program is an initiative of the Quebec Breast Cancer Foundation, in collaboration with University of New Brunswick, Memorial University of Newfoundland, Dalhousie University, and the University of Prince Edward Island and is supported by Ultramar. Organizations, such as the New Brunswick Health Research Foundation, the Beatrice Hunter Cancer Research Institute and MITACS have also contributed funding the project. At the beginning of the program, members of the research team took baseline measurements of the women, such as a six-minute walk test and handgrip strength and gave them a pedometer to track their physical activity. They were also asked to complete a questionnaire about their quality of life and lifestyle. Measurements will be re-taken at the end of the study. Thanks to this program, women affected by breast cancer will benefit from 12 weeks of exercise to measure improvement in physical activity. Researchers are hoping to identify what kind of interventions work best in which community. It has also provided training opportunities in kinesi-oncology, which has been delivered to more than 65 exercise specialists and the creation of education videos featuring students involved in the project. “The program has been successful, because we’ve been able to start a concrete collaboration between public health authorities, oncology and faculties of Kinesiology to work together for this important cause. Many research projects show that fitness improves as a result of an exercise program, but there is an unknown day-to-day variability that depends on the level of energy or treatment,” says Dr. Bouchard. This is a project that has led to concrete initiatives for patients with breast cancer, such as free walking groups in New Brunswick and Prince Edward Island. Researchers at My Active Health have also partnered with Hexfit to develop an application, which will be available throughout the Atlantic Provinces, as well as in Quebec and Ontario on how to perform exercises anywhere by respecting individual’s energy levels and restrictions. The application will deliver training programs based on research data collected from the group of women mentioned above. Their goal is to reach patients who cannot access a center that offers exercise programs or for the maintenance phase.